The decision to become a homeowner will be one of the biggest you’ll ever make. Buying a home can be more complicated than you think, especially if it’s your first time. At present; the city has a high inventory of properties on the market which makes this a perfect time for buyers. Our first-time home buyers guide provides everything you need to know about the process. For now, at least, rates are low increasing buying power. However, interest rates will begin to climb in the years ahead. Rising rates lower the amount of apartment or house you can afford later on. 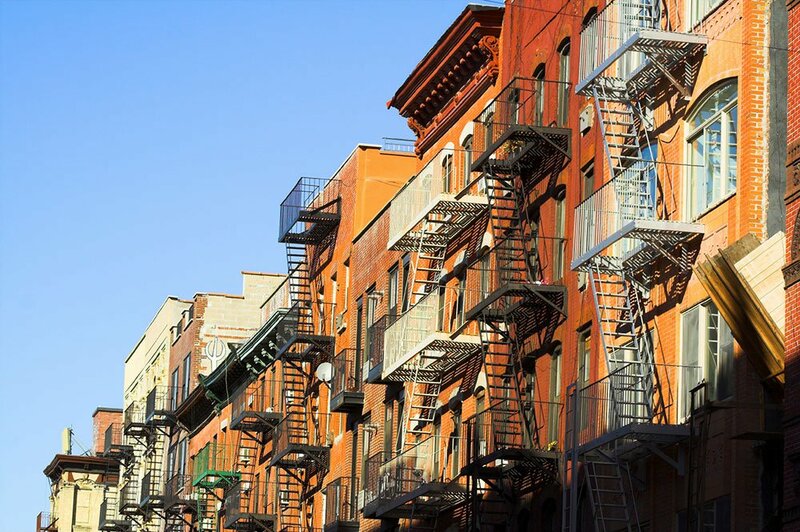 Buying an apartment or home is can be cheaper than renting in New York City. The most significant obstacle for first-time home buyers is but having enough money to put down. Our Homebuyers Guide walks you through the buying process from start to finish. What building type should you choose, Condo or Co-op? New or resale, which is right for you? 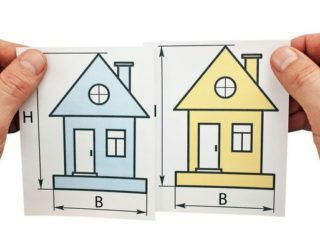 So, which type of housing is right for which type of home buyer? Home Buyers Guide – Download Your Free Copy Today! There will be much to learn and a fair bit of confusion along the way. Fortunately, we’ve condensed all the needed information into this helpful guide. Read on to learn about the buying process and how you can become the proud owner of your own NYC apartment or house. Know what you’re looking for in a home and priorities (location, price, number of bedrooms, etc.). Review your credit score and finances are in order. You’ll need cash for a down payment, closing costs and capital reserves of 6 months. It’s also best to have one year of your mortgage and building associated expenses in savings. 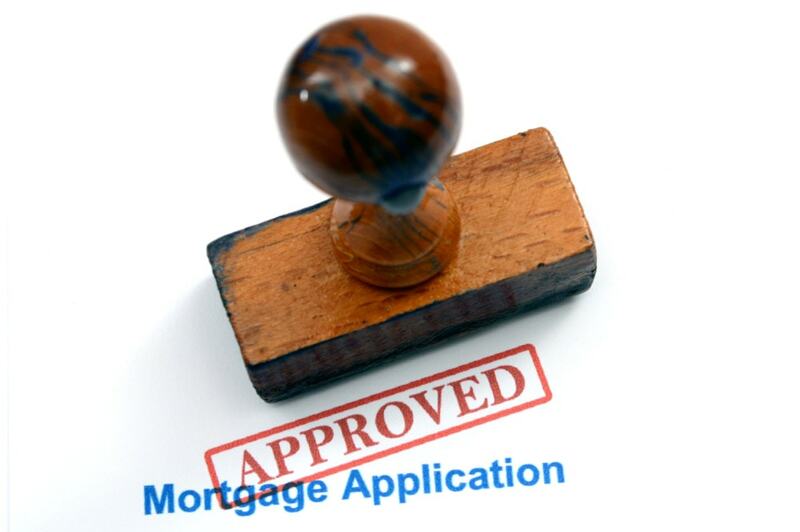 Get pre-approved for a mortgage with the lender of your choice; this gives you credibility when negotiating for a property. Set a realistic time frame for moving into your new home: How much time is left on your lease? Can you sublet if necessary? Consider the big picture. Will you buy a starter home knowing you want to trade up in a few years; or a long-term family home? Avoid over leveraging to buy the most expensive home you qualify for; you’ll want for maintenance and a rainy-day fund. Find a buyer’s agent you feel comfortable with and trust, and whose style and principles align. Do not be afraid to pull the trigger when you find the right home. Second-guessing interest rates or changes in the housing market often lead to disappointment; excellent properties don’t stay on the market long. Negotiate, but avoid insulting the seller with low offers or too many contingencies. Develop a realistic post-closing budget that includes funds for decorating, maintenance, and repairs. Buyer’s remorse at first. It’s normal to doubt yourself before the satisfaction of owning your own home sets in. Buying an apartment or house makes sense if you intend to live in it at least seven to ten years; any less, and you may wind up losing money in the transaction. The seller in a real estate transaction can quickly expect to pay up to 10 percent of the sales price of the home in closing costs; allowances, commissions, necessary repairs, and other negotiated expenses. Also, sellers rarely get the full asking price for their apartment or home; unless the housing market has an inventory shortage. It’s also possible to get the full asking price if a home has been well-renovated, is in a great location, or if it features distinctive and appealing architectural detail. In the next seven years or longer, do you plan to start or grow your family? Is there a possibility your employer will transfer you to a location in another part of the country? Do you have an ailing or aging parent who may need to move in with you? Predicting the future also means buying only as much apartment or house as you think you’ll need, but not much more. In the past, the trend in a first-time apartment or home buying was to purchase a smaller; more affordable “starter apartment or home,” and then sell it in a couple of years when the family (and the household income) grew. Given the variables in the real estate market, that no longer seems like the best strategy. Today; you’re better off buying the apartment or home you think you’ll need for your family for the next ten years. Condos and homes with multipurpose rooms, like a dining room that can be converted to an office; or an attic that can be transformed into a bedroom; make sense as you try to arrange your home to meet your family’s changing needs. Resist the temptation to buy too much house. The additional taxes, utility payments, and maintenance and repair costs restrict your ability to save for other family necessities. As the saying goes, no matter how big your apartment or house is, you can only sit in one chair at a time. Become an ELIKA insider to unlock your free copy of our 120-page home buyers guide. Just enter email below to access. Are you prepared to maintain and repair an apartment or home? Are you willing to stay in the same apartment or home for at least five to ten years? Do you have a realistic idea of the type of apartment or home and amount of space you’ll need for the next five to ten years? Are you relatively sure your financial situation will remain stable or improve over the next several years? Are you a disciplined saver who can build up an account for emergency repairs? When you know you want to settle in and stay put for at least five years, it makes more sense to buy. You’ll be spending a lot less per month on a mortgage payment than rent making it better over the long-term. You’ll also get a tax break on the interest you pay toward your mortgage. So long as you feel financially ready and you know you want to stay in New York it makes more sense to buy as soon as you can. It’s also worth remembering that you’ll be paying less each month for the same kind of property or better than if you’re renting. With a fixed mortgage the amount you’ll be paying each month will be “frozen in time” compared to the rising rents of properties similar to yours. Is it in an area that has seen a steady increase in value? Is the neighborhood appealing to others? For instance, it is convenient to amenities like the subway/public transit and local shopping? Does the property have unique architectural detail or something unique and special about it? Does it have evergreen appeal in case you plan to resell? Is it in good condition or does it need a lot of TLC? Any property that’s in excellent condition covers your needs, and is likely to grow in value over time is one to scoop up. On the other hand, any transaction where you’re losing money isn’t one to pursue. The best way to maximize your chances of finding the right place is to carefully explain your needs to an agent and have them scout out the best properties for your needs. If you’re not happy with renting for a variety of reasons, whether it’s the lack of freedom to renovate or the intrusive inspections, becoming a homeowner can be the answer to that. Being a homeowner will give you a higher level of control in how you run your home. You also don’t have to continually renew leases or abide by specific terms (like pet restrictions, etc.). If you feel you’d be happier being the #1 person in charge of your estate, call a realtor and see what your buying options are. In the literal sense of the word, the house you live in isn’t a real “investment.” This runs contrary to conventional wisdom, but here’s why it’s true: Apartment and home prices have grown only slightly more than inflation for more than a century. What this means is that if you bought an apartment or house in 1980, paid off the mortgage, and sold it in 2010, you’d have the same buying power as you did at the start. The real estate market is a lot like the stock exchange. As a general rule, it tends to increase over time. But trying to gauge the perfect time to buy and sell is an imprecise science. When you want to sell your home sometime in the future, it (hopefully) won’t stay on the market longer than a year. But no one can guarantee that’ll happen, which leaves you unable to access your capital. This is the biggest problem with real estate as an asset; it’s a very illiquid asset, meaning it can’t be quickly converted to cash in a crisis the same way stocks can. Both can indeed be sold for the profit your investment generated, but with real estate, it tends to take much longer. And just like the stock market, it’s hard to predict what will happen to your neighborhood, development, or market in five or ten years down the road. That said, some of the wealthiest people in the USA built their wealth by investing in real estate. Even if you aren’t generating a high rental yield, buying the right property nonetheless can be an excellent investment. Owning a home is building wealth; it gives savvy buyers years to compound that wealth and accumulate more property. For example, if someone had bought a home in NYC 30 years ago, that person’s net worth would have inflated by approximately 1000%. More than three-quarters of investors worth $1 million+ own real estate, according to a study conducted by Morgan Stanley. Does owning a home help build wealth? Directly owning residential and commercial property was cited as being the number 1 alternative investment choice, with 33% of the surveyed millionaires saying they planned to buy within the next 12 months. Owning your apartment or home can be a beautiful thing. It’s a shelter and a source of pride for you and your family. It often provides a cheaper overall housing alternative to renting. But it is not a guaranteed investment. Don’t think of the apartment or home you and your family live in as an investment; it could cloud your thinking and lead you to make buying decisions that aren’t optimal for you. Buy an apartment or house because it meets the needs of your family, the schools are great, and you enjoy being part of the community—not because you think it’ll be a significant investment. Buying a home makes sense if you plan to live in it for at least five to ten years. Any less, and you may wind up losing money in the transaction. What to expect when selling your home? The seller in a real estate transaction can expect to pay up to 10 percent of the sales price of the home in closing costs, allowances, commissions, necessary repairs, and other negotiated expenses. Also, sellers rarely get the full asking price for their apartment or home; unless there is a shortage in housing inventory. It is possible to get the full asking price if a home has been well-renovated; is in a great location, or if it features distinctive and appealing architectural details. But with the current buyer’s market in the city that seems unlikely. Still, don’t let that make you think you hold all the cards as a buyer. Sellers can still have a few tricks up their sleeve even in a buyer’s market. Before you go searching for your first dream home, you have to figure out exactly how much you can afford. Anyone new to the city or thinking of moving to a different borough should start by familiarizing themselves with that area before moving onto the practical details. Then start deciding on what type of building you’re looking for, condo or co-op? If you’re taking the home loan approach, then you’ll need to check your credit score. Your credit score has everything to do with the type of loan you’ll qualify for. Once you know your score, it’s time to calculate how much you can afford. This is where being honest with yourself counts. In other words, be as realistic as possible with your finances, and don’t forget to include the down payment, closing costs, and additional fees associated with the purchase. Getting to know an area before you commit to buying an apartment is always a good idea. If you’re a new arrival to the city, this is especially important. Each borough and neighborhood has a different mix of cultures, characteristics, and subtle nuances that make each of them unique. If possible, spend some time in your desired area and speak to the residents. Find out the prices that available apartments are going for, what the residents are like, and their feelings about the neighborhood. What’s it going to be, Manhattan, Queens, Brooklyn, the Bronx, or Staten Island? Choosing the right neighborhood is the next step once you’ve familiarized yourself with the city (assuming you’re a new arrival). Although it seems a bit daunting, making a list of the pros and cons of each area will help you narrow your search. Break your list into columns that include everything from price and location to population and taxes. Think about what defines each borough. Manhattan is a metropolis, whereas Staten Island offers a suburban feel. Once you tally the pros and cons and narrow your search to one or two spots, it’s time to figure out your budget. Keep in mind that you’ll only want to buy as much apartment or house as you think you’ll need; but not much more. In the past, the trend in a first-time apartment or home buying was to purchase a smaller, more affordable “starter apartment or home,” and then sell it in a couple of years when the family (and the household income) grew. Given the variables in the real estate market, that no longer seems like the best strategy. Today, you’re better off buying the apartment or home you think you’ll need for your family for the next ten years. Apartments and homes with multipurpose rooms, like a dining room that can be converted to an office, or an attic that can become a bedroom, make sense as you try to arrange your home to meet your family’s changing needs. Resist the temptation to buy too much house. The additional real estate taxes, utility payments, and maintenance and repair costs restrict your ability to save for other family necessities. As the saying goes, no matter how big your apartment or house is, you can only sit in one chair at a time. What is it you’re looking for? A fixer-upper townhouse, brownstone Brooklyn, or a studio apartment in a walk-up building in West Harlem? 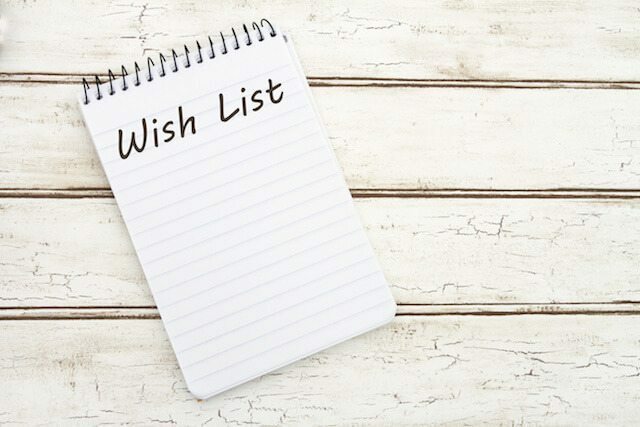 You should focus your search as narrowly as possible and do it with a wish list in hand. Shopping aimlessly in a city of endless choices doesn’t work with designer clothing, let alone real estate. An H&M budget won’t get you a suit from Prada, much in the same way a one-bedroom budget in Washington Heights won’t get you a sprawling two-bedroom in the West Village. Based on the initial wish list you’ve made before you began shopping, you might not be able to afford Park Slope, even though you have your heart set on that neighborhood. Adjacent areas of Brooklyn, however, could offer more space and additional amenities and still be within your budget, so stay open-minded. If you aren’t prepared to stray from your dream neighborhood, adjust your list and scratch off that extra bath, or the outdoor space, both of which add thousands of dollars to an asking price. Don’t start thinking about who you’re going to get a loan from one month before you start the hunt. Begin planning for your new home well before you even think about contacting a real estate agent. A few things to consider are what you can realistically afford, where you want to live, and what other costs will be associated, such as HOAs and real estate taxes. A down payment for a home is usually set to 20%, but you can now get a loan with much less. However; you should consider if a lower down payment is worth the additional costs you may have to pay such as mortgage insurance. If viable, do all you can to save for the 20% down payment. You’ll have a better chance of your offer being accepted, you’ll be more assured of receiving mortgage approval, and you’ll get a lower interest rate. You can get one free credit report every year from each of the three big credit reporting companies. This means that you can get three a year if you use one from each. Go to creditkarma.com for more information on this. Remember, they are the only site that is authorized to do this. Your credit score will impact your ability to get a loan. Plan, and you won’t find yourself being denied every loan you apply for. If your credit score is low (less than 680), then start looking for ways to bring the score back up. Along with making sure your credit score is healthy, you should avoid making any big purchases while you’re house hunting. Any activity that involves an inquiry into your credit, such as buying a car or signing up for a credit card, can lead to a drop in your credit score. Don’t waste your time, a seller’s time, or the time of the brokers involved in the sale by not getting pre-approved. By getting a pre-approval letter before you begin searching for your new residence, you’ll have the ability to make an instant offer should you stumble upon “The One.” Without pre-approval, agents and sellers won’t take you seriously, and they’ll move on to a buyer who has the necessary paperwork. Plus, you’ll know how much cash you qualify to borrow ahead of your search. Getting a loan isn’t the only time you’ll have to talk about money during the home buying process. There are plenty of additional costs that can sneak up on you if you’re not careful. One such fee is paying a home inspector. When buying a home, you need to have an inspector’s assessment, especially if you are not buying new. If you wavier the right for a home inspection you effectively agree to buy a home that could have damages not visible to the untrained eye. Depending on how lucky you are, expect to spend at least a few hundred dollars in repairs on your new home. Appliances are another cost many first-time buyers don’t consider. Will the home you’re buying come with a refrigerator? What about a washer and dryer? If not, then it’s best to have a budget planned for such costs. Condos and co-ops are very different forms of housing ownership. Each offers its own set of benefits and drawbacks. What looks like the perfect apartment in a condo building may not be worth purchasing if it were a co-op. Likewise, a co-op offers owners levers of control over the future of the building that many buyers insist on. The financial structure of the two types of buildings differs in substantial ways. A co-op has an ownership structure closer to that of a public corporation than a typical apartment building. Instead of owning a particular apartment; like in a condominium, those that live in a co-op hold a share of the company that owns the building. The more valuable the co-op; the larger the percentage of the company the resident owns. While most buildings being built in New York City today are condos, 85% of all the apartments available for purchase are still cooperatively owned. Some analysts predicted years ago that co-ops would soon begin restructurings themselves as condominiums. However, the bylaws of most cooperatives require a supermajority, or 66%, vote of approval by the owners to allow this to happen. Many even need a super-super majority, or 80% vote. This explains why recent history has made it clear: Co-ops are here to stay for the foreseeable future. Opportunity costs are defined as the loss of profit or value from something that is given up to acquire or achieve something else. For example; if you’re cashing in an investment like a stock that has consistently returned ten percent a year to cover the down payment on your apartment or home; you’re potentially missing out on all the earnings of those stocks. For younger investors who have 20, 30, or more years for investment growth; the lost profits could add up to a sizeable amount. This is why some financial advisers recommend that genuinely disciplined savers who invest wisely are better off renting than buying. What does this mean for the first-time homebuyer? If you’re financing your down payment with a second mortgage, or part of it is a gift from family, your opportunity costs are meager. On the other hand, if you’re raiding your 401(k) or another brokerage account for a down payment, be conservative in deciding how much of a home you can afford. A lower purchase price means a smaller down payment, which means more of your money can remain in long-term investment accounts. Another reason to buy only as much apartment or house as you think you’ll need in the next seven to ten years; you’ll lower your opportunity costs by maintaining a more significant percentage of your other investment accounts. In many instances; a resale is the only choice, especially if you have your heart set on a particular neighborhood or love the idea of restoring a beautiful space in a Pre-War building. However, for many first-time buyers, new construction is the better choice. For example, Energy-efficient appliances and “green buildings” are becoming standard in today’s newly constructed apartments and homes. Efficiency standards have tightened considerably from 2010 to 2014, so energy costs are usually much lower in new construction buildings. While it’s possible to retrofit older homes with more energy-efficient appliances; it’s expensive and rarely results in the savings available in new apartments and houses. Most newly constructed condos and houses come with fire-retardant floor covering and insulation, making them much safer in the event of a fire. Also, many builders hardwire carbon monoxide and smoke detectors into their buildings, which are more reliable and convenient than battery-operated models. New buildings usually have sophisticated wiring capable of handling high-tech electronics, entertainment and security systems, and high-speed communications equipment. Customized wiring isn’t always possible in older apartments and homes. You’ll save on replacement costs with a newly constructed apartment or house. Most major components have a lifespan of seven to ten years, and it’s possible for many to be covered with warranties that can be extended beyond the first year. With older apartments and homes, it’s possible you’ll need to replace appliances soon after you move in. Many developers have mortgage banking affiliates that can customize financing, including down payments and interest rates, to meet your particular situation. They’re often able to defray some of the closing costs too. However, the current market isn’t favorable for that unless the property is either in a wrong location or grossly overpriced. While a seller of a resale home has some flexibility to contribute to settlement costs, they don’t have nearly the same flexibility of a builder’s affiliated mortgage company. In general, co-ops offer one significant advantage for some buyers: A more thorough screening process for potential buyers. The screening process is an arduous task for potential buyers. The interview with the board of directors alone will take up significant amounts of time; to say nothing of the various credit requirements to be met and paperwork to be completed. However, once a buyer moves into the co-op, the social makeup of their neighbors tends to be much more stable and homogeneous. Such can be either an advantage or a disadvantage, depending on what the buyer is looking for. For those looking for a place to retire or to raise a family, the knowledge that the social and physical environment of your building will not change for a long time offers a great feeling of security. However, these same tight screening processes and also make them more difficult to sell and often quite impossible to sublet. This is particularly disadvantageous for buyers that don’t plan on living in one place for an extended amount of time. This heavy regulation of co-ops’ gives condos a relative value increase on the market. This is why investors and more mobile homeowners prefer condos. Demand for a much smaller supply makes condos the logical choice for most buyers. 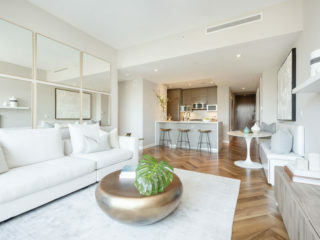 A recent study suggested that were the average co-op to convert to a condominium ownership structure, an average net gain in value of $15,500 would be added to each unit. New York apartments don’t typically come cheap. But if you’re willing to make certain sacrifices, you could land yourself an excellent bargain. Look at larger apartment buildings – those with around 40 or more apartments are much more likely to have lower prices. In the winter months, there is much less activity in the market. As a result, landlords are generally willing to deal with any vacant apartments they have. Gut renovation needed – Some properties could use a gut renovation. You can likely negotiate heavily on the price; however, be ready for the costs associated and time it takes to complete the repair. Check lesser talked about areas – Less publicized neighborhoods that are not in demand can have nice less expensive apartments. This might mean having to make do with long commutes and fewer amenities in the area. There is no such thing as a perfect apartment. However, once you have secured the keys for one that closely matches your expectations you’ll have the freedom to perfect it. This is one reason it helps to have a budget that will allow you to make the purchase and have some funds left over for necessary renovations. Even brand-new homes can require some post-purchase spending. Factor in decorating or possible repair costs; so you don’t find yourself in a situation where you have to postpone repairs that are needed now. Buying your first apartment in NYC might be one of the most challenging things you have to face thus far in life, but it can also be one of the most rewarding. In the end, it is not as daunting as you think. Buying a home without representation and the help of a real estate buyer’s agent is to take a considerable risk. With so many online conveniences these days it’s easy to think you can go it alone and avoid working with an agent. But buyers’ agents can be an invaluable source of help. They can do the initial scouting and research, screen properties before showing you, negotiate the sales price, facilitate mortgage pre-approval and contract finalization. Along with everything else in-between. Most people don’t have enough time for all this which is why an agent should be considered mandatory. To ensure you get the best service you should carefully vet research your buyer’s agent. A good agent will have your back and doesn’t just see you as dollar signs. Remember, an agent is there to make the whole buying process more comfortable. If you find that this isn’t the case, then drop them and find a new one A good agent should not only be extremely knowledgeable about their subject matter but also have plenty of experience buying homes in the area you’re interested in. There’s a lot of paper shuffling that goes on during the home buying process. If you’re unsure as to the paperwork will be needed, don’t be afraid to ask your buyer’s agent. The last thing you’ll want is having to dig around your office in the middle of the night because you forgot to send some important document. Also, read any documents that are sent your way. First-time home buyers can get so excited about their new home that they miss something important in a contract. If you find a home that you love, make a reasonable offer. If the home is a good deal, then you can be sure you aren’t the only person who has come to this conclusion. Place a strategic offer that you are comfortable with. You can leverage your agent’s expertise for this part. If you are buying in a neighborhood where homes historically sell very fast, then you may not have time to negotiate on minor details, such as changing out light bulbs. One of the most exciting and nerve-racking steps of buying your first home is making an offer. Counter offers aren’t uncommon in the home buying game, so it’s essential to prepare for a second and sometimes third offer that’s within your budget. If you choose to go with a real estate agent; they will handle all the negotiations and even make counteroffer suggestions. With a market as competitive as New York, multiple offers from different parties is a possibility, so keep this in mind when it comes to your offer. If you are in a buyer’s market situation and have greater leverage; then don’t be afraid to take advantage of the opportunity. From real estate closing costs to repairs to even pest control subscriptions, you can find something that may help to sweeten the deal. Congratulations! Once your offer is accepted, it’s time to find the right mortgage for your needs. Whether you choose an adjustable or fixed-rate mortgage, many tax advantages are specific to first time home buyers in New York; so it’s important to weigh all of your financial options before choosing a home loan. Once you’ve got a loan, you can begin moving through the rest of the closing process. When you’re ready to call yourself a homeowner, use the information above to help you along the way. Here are four things you need to look for during an apartment final walkthrough before you sign on the dotted line at your closing. Your apartment is supposed to be your sanctuary, so it’s vital that you feel safe in it. During your walkthrough, look out for basic safety features like working smoke detectors and available fire extinguishers. Apartment complexes should also have a clearly-displayed fire escape plan. Examine the doors and windows closely. They should fit well within their frames and open and close smoothly. Their locks should also be sturdy for your protection. Also, there should be a deadbolt on your main door. Turn the lights on and off to ensure there are no sparks. You should also test the outlets and look for electrical problems. Look for additional features that can give you added peace of mind. Carbon monoxide detectors are less common than smoke detectors, but they’ll sniff out a gas leak before you can. Also, look out for windows in the bedrooms that are large enough to escape from during a fire or other emergency. Approved safety gates on the windows can also help you rest easy. The plumbing should be perfect when you move in. Test it by flushing the toilet and running the faucets to check for leaks. The faucets also shouldn’t drip when you shut them off. Make sure you look underneath the sinks and around the toilet and tub for tell-tale drips; damp patches, odors, and water stains. Don’t forget about the shower either when you’re testing the water. It should have adequate pressure and heat up promptly. Ask the realtor whether your apartment has an independent water heater, or whether the unit is shared amongst several apartments. This could impact the availability of hot water during peak times. Your dreams of cooking up gourmet meals or finally eliminating that growing pile of laundry could be put on hold if you find that your appliances aren’t working. This is another factor that should be on your apartment hunting checklist. Ensure the refrigerator and freezer can keep items cold; the washer and dryer are functioning, and the air conditioner and heater both work. Remember to test each burner on the stovetop individually, as well as the oven and broiler underneath. Are There Any Contract Disclaimers? It’s vital to read through the rental contract carefully before you sign it, noting all of its terms and any contract disclaimers that could nullify the lease. These may spell out conditions that could have serious ramifications for your rental term. For example, a disclaimer may state that you take responsibility for any damages not reported at the start of your lease. If this is the case; you’ll need to diligently document any problem areas and raise them with your landlord before beginning your tenancy. Look closely at the details rather than getting swept away during your apartment walkthrough to make sure you know exactly what you’re signing up for. After months of searching and days of negotiating, it’s finally time to close on your New York City apartment. At this point, you’ve found your ideal home, assembled a board package (if purchasing a resale condo or co-op), passed the board’s interview in case of a coop, and you feel good about your investment. Although you might think that the closing consists of wrapping up a few details, there are still a few hurdles to overcome. You should also have completed the essential walkthrough with your agent; if you haven’t done so yet, then don’t move forward with closing the sale until you’ve done so. It’s essential that your agent confirms that everything is as it should be and that your new apartment doesn’t have any huge problems that have heretofore gone unnoticed. During the closing, you as the buyer will (of course) be giving the agreed-upon amount of money to the seller. In return, you either receive a deed (for a condo) or a proprietary lease (for a co-op). In reality, two closings may be happening at this stage a closing for sale; and possibly closing of your loan on the mortgage. The location of this closing could be at one of a few different places; the managing agent’s office; an attorney’s office, a broker’s office, or possibly even another area where the sale is officially recorded. You (the buyer) and the seller both will usually be in attendance along with both sets of attorneys. Additionally, a closing agent, your real estate agents, and maybe a mortgage company representative will be there as well. Some insurance deals also might have to happen at this stage—be sure you’ve gone over all these things with your attorney beforehand. The Real Estate Settlement Procedures Act (RESPA) statement, also called the HUD-1 statement, itemizes all closing costs. You’ll need this document for income tax purposes, and when you sell your property. The Truth in Lending Statement spells out the terms of your mortgage loan. The mortgage and the note, two separate documents, explain the legal terms of your mortgage obligation and agreed-upon repayment terms. The deed, which transfers ownership to you. Affidavits are affirming various statements made by either party. For example, the sellers often sign an affidavit stating they have not incurred any liens on the property. Riders/amendments to the sales contract that affect your rights. For example, if you buy a condo, there may be a rider outlining the condo association’s rules and restrictions. Insurance policies to provide a record and proof of your coverage. When attending the closing, you will need to come with checks in hand. Your attorney will guide you for how much each check should be written for based on your contract of sale. If you’re moving into a condo or co-op, you’ll have to pay for these closing costs as well. Assuming you’re financing, you’ll also need to have a recognition agreement, and you’ll have to pay a loan origination fee and a UCC-1 filing fee. You may even need to pay out for pre-paid mortgage interest. Your attorney will provide you with a closing statement that itemizes costs paid both by you and the seller. The closing statement will also specify the transaction’s various “debits and credits” as they pertain to the buyer and seller. All of these will need to be paid via certified checks. The real property transfer tax (which the seller usually pays) also will be given at this stage of the transaction. If the property in question costs more than one million dollars, you’ll also have to pay a “mansion tax” that comes out to 1 percent of the property’s purchase price. Take care that you have all the right checks lined up and that you know what all the documents mean. Assuming you’re on the same page as the seller, though, the process should more or less be painless. If financing, your lender must prepare a good faith estimate of all settlement costs before the closing; but the title company or other entity calculates the exact amount you are required to bring to closing. Be sure to get a cashier’s check for your share of the costs a few days before the settlement date. Since these costs are usually paid on a monthly or annual basis, you may pay for some services used by the seller before they moved. Similarly, some expenses are paid in advance of services being used. Proration allows the buyer and the seller to balance these accounts so that each only pays for the services they used. Maintenance Adjustment: Pro-rated for the months of closing. The turning point in any closing, of course, will be when you finally receive the keys to your new property. 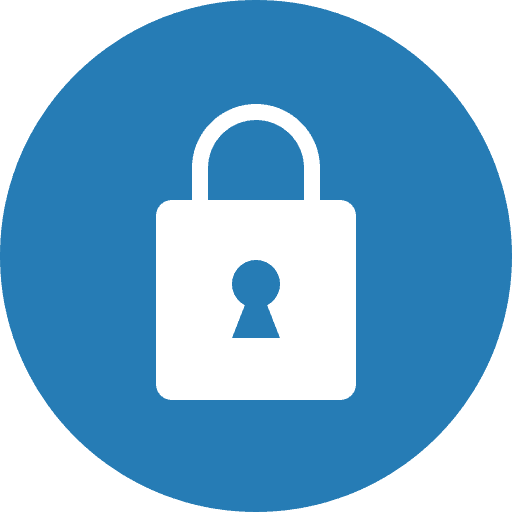 Although you’ll likely end up changing all the locks right away; the symbolic significance nonetheless will still offer closure to the process. The deed and mortgage will then be recorded in the public records by your attorneys; the purchase of your new home will be closed officially. There are many advantages to owning your own home. Owning allows you to take advantage of tax breaks that will enable you to deduct mortgage interest; property taxes, and other costs involved in buying and maintaining a home. It also enables you to build wealth as your home appreciates. With any complicated activity that involves finances and various levels of bureaucracy, the margin of error can be rather slim. Real estate is no exception, and there are many mistakes to be made when you’re buying your first home. 1. Assuming you won't get approved for a mortgage. 5. Not understanding local and macro housing trends. 8. Although it may be tempting, buying the best house on the block is never recommended. 18. Buying a home that is not worth buying, a buyers agent can help choosing the wrong property. 19. Representing yourself and forfeiting the help and guidance of an exclusive buyer’s agent. 20. Being emotionally tied to a home, falling in love can break your heart. 22. Estimating a properties fair value, an experienced buyers agent can be very helpful in this regard. 27. Not reading the house rules of a Condo or Coop before signing. 28. Not conducting a thorough final walkthrough of the property day of closing. Buying an apartment or home is an exciting and often overwhelming experience; to help you understand the process and get the best possible outcome with your home purchase; we’ve prepared a homebuyer guide to help you get started. The information it contains; along with useful tips and recommendations, will give you a good understanding of the apartment or home buying process; and how to avoid costly mistakes. Already did thanks to Elika! I’m a native New Yorker, & believe me…it’s not that great here anymore! In 2008 was the best time. Over the last 10+ years every small biz whose lease has expired had to close due to greedy landlord$. The heart & soul of the city has been completely whitewashed…so if you’d like to live in Portland, I mean Brooklyn @ 2 mill$$…this is the place for you!! But if u have a few coins stashed away why not capitalize. If these building were owned by dominicans or blacks. U think they wouldnt jack up the prices as well? Its clear realest is making bank for landlords. It was just only 30 yrs ago were apts and buidling were somewhat affordable for regular workers. Give me a million dollars and maybe it’ll be “the right time”. I wouldn’t move back to NY if I were given a house for free!!!! I am the middle class working poor of NYC who are being sucked dry supporting the non working free loaders n being over taxes to help the rich who do not pay taxes. Makes me so mad,can you afford? Of course not. That’s not a home.that is an big apartment building, I don’t want to live next to anyone.I don’t want to be able to go through my wall and end up in their house.lol its like the PJ,s.I want space next to my home.no one up over or under me. Great place “SOHO”, I will take it anytime, will always stay n be a NEW YORKER!! Let’s face it, city living is not for everyone! I’ve lived in the the country and have had suburban life but I’ll take a gritty city anytime before rolling hills! If the shoe fits, wear it! Nobody is forcing anyone to live here! Thanks for posting, Adrienne Wilkins! Better have millions. .or real good hustle. .
Of course I’d like to go back to NY if time permits! the best time for a credit tenant is during a financial crash , about 3 months after that when people start to get squeezed on holding costs and have to bail. cash is king during these periods . Right thing NYC is not for everyone. Love to live in the city tho. Definitely the quite life in some suburb is not for me. Why pay such high rates to live here……..to be cool?…….NYC lost its uniqueness. …..years ago! >>>> bought gorgeous co-op here….I couldn’t be happier !! Lower the rent New York is for the rich white folks they can keep it. With these prices and with the taxes people are running away from NY. No longer affordable for middle class. Wonder if I should sell?